Spain’s historic sites and attractions are sprinkled along its landscape from Bilbao in the north to Cadiz in the south. Luckily enough, you'll find us not only in Spain's best loved cities and towns, but also at most major airports - including across the Canary Islands - taking the hassle out of travelling to your holiday resort. So if you are looking to have good time, consider our car hire deals in Spain which will make it quick, easy, economical, and convenient to get around. With bargain flights from the UK and car hire in Spain, the country is a favourite of Brits looking for a sunny getaway. The prevailing holiday mood and gastronomic life in Spain are a rage with all those wanting to get away from the daily grind. 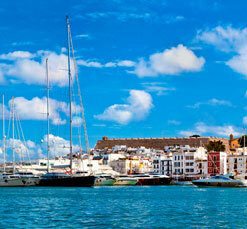 Spain is renowned for its gold-tinged sand beaches sprawling alongside the Mediterranean coastline. Abundantly rich in terms of nature, culture and history, the country is a treasure-trove of delights. 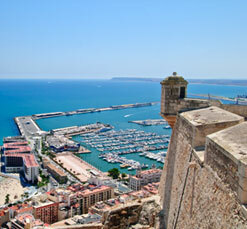 Mainland Spain is home to the stunning historic cities of Almeria and Valencia. 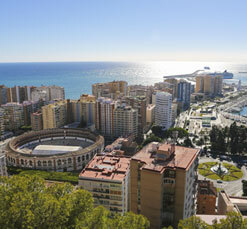 The vibrant nightlife of Alicante, and the exhilarating ski resorts of Granada are also famed. In contrast, the Canary Islands - particularly Tenerife - showcase some of the most fascinating rugged, volcanic landscapes in Europe. In fact, all of Spain is swathed in a beauty that is widely regarded as being one of the most marvelous in the world. Hiring a car could mean a perfectly relaxed vacation including waking up and sightseeing when you choose. Perhaps you are headed to Vigo, where you can enjoy some of the country's freshest oysters. 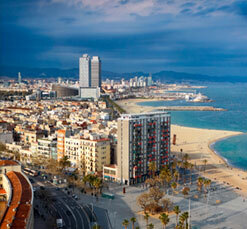 Or you are off to Barcelona, which offers great shopping opportunities along Las Ramblas. Even if you are only looking forward to relaxing on the beaches of Canary Islands, we're indeed proud to have all popular Spanish destinations covered.